I have just been watching Gail’s Easter box demo, and so enjoyed it that I just had to let you know. I shall have to make some for this Easter, for the grandchildren. I love it, I love it, I love it. I live in the U,S. and cannot get home right now but if I do come over you would be my first stop. I also love your site because its lovely to hear English people speak. Everything is wonderful. Thank you keep up the good work. Thank you so much for your hard work, it is much appreciated. It keeps us in touch with the quilting world. 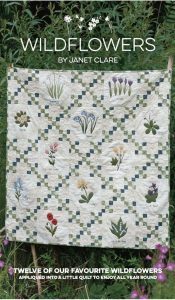 and Mary says: I would like to see an introduction to free motion quilting for those of us who are not sure where to begin: Great Site. We do have a beginners guide with Jennie – under Embroider – confusing I know, but more to come – so keep watching.! Thanks to everyone for making your workshops ever more diverse and interesting, especially the confetti tree and the great rag rugs! I just want to tell you how fabulous I find your website and how I rave about everything I can find on there – and so easily! It’s like having a room full of magazines without the clutter and the need to thumb through hundreds to find what I am looking for…. Long may you continue! Thank you for all the pleasure your site brings to me. The housework is now a thing of the past! May I just say how absolutely delighted I am that I subscribe to this website. It is the best thing ever done, as a beginner quilter I have already learned loads. I am now fast telling my other quilting friends how wonderful it is, so hope I may get you a few new members. Thankyou so very much for being there. Oh how I wish I had found this site years ago. Up until now, despite being an avid sewer for more years than I care to remember, I feel confident enough – with the help of those lovely videos, to attempt my first large quilt. I have ordered the fabric and cannot wait to get started. I have only made cot or lap quilts before this. The videos for beginners are brilliant – thank you soooooooooooo much. From one happy sewing bunny! I enjoy your workshops on Hand On so much. Thank you for your skill, communication and such fun sense of humour. Learning so much and loving it all. I hope I can get to Emsworth one day. I have just joined and am loving your site i am following how to make a sampler quilt and really enjoying the challenge. 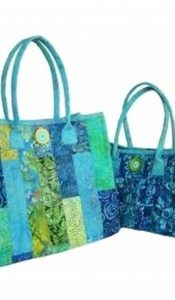 i am new to patchwork and quilting and find your website fantastic. Can I take this opportunity to let you know what a wonderful and informative website this is. It always inspires me to try different sewing projects. The teaching is wonderfully clear and detailed. Well done everyone. New Ipad friendly website went live July 2014. Thank goodness I don’t have to use Puffin anymore on my iPad, …. I have just watched Jennie on Safari much much better, thank you. Hurrah! Thank you for improving the functionality of the site. Instead of having to lug my laptop around the house I will now be able to use my iPad in my sewing space! New Look Website – went live Oct 2012. I’m very new to Justhandsontv but so far I haven’t had any problems and I think it’s a brilliant idea to make these short videos on tips and techniques. I’ve been dipping into them at different stages of my quilt for guidance and occasionally I get distracted by new ideas for later quilts. Thankyou Valerie and Jenny – so nice too to hear English voices rather than American. New Look Newsletter - went live Oct 2013. - catchup always available in the community section. Love the new look and it’s so easy to navigate. Well done. Recently became a member. Thank you for sharing hints and tips and tutorials. A great place to learn the finer details. Made Jennies ‘Cosmic Happening’ a few years ago. My daughter loves it. It is stunning. Your site has rekindled my interest in making quilts. Thanks for my membership pack which arrived on Saturday. Love it!!!! The site is FABULOUS and I wish I’d found it ages ago! I just wanted to say how great your website is. I discovered you on you tube and have completed the 40min marathon quilt top, it looks fabulous. Have just subscribed so that I can watch all the videos and can’t wait to get started! Love the new website. Easy to work through, visually pleasing and ‘SEARCH’ box so helpful! I look forward to Fridays and seeing what is new! I am so glad I have joined you. Excellent web site packed with even more than I expected ie mixed media and such. I had not used PayPal for at least a year and hadn’t the passwords but that wasn’t a problem-easily sorted and instant access to you guys. I have spent the last 3 hours looking at the content and there is loads more to see. —-so I writing here to say thank you. Just to let you know that I love the new website – it’s easier now to know which are the most recent items and videos. I can say my £6 a month I spend with you is the best £6 a month ever!! What a great web site to have two experienced tutors on tap any hour of the day or night.!! I really look forward to the weekly updates. Keep up the good work girls.!!! thank you for all the videos’. They give me something to watch while my husband watches football!!! I like your site a lot. The colors appeal to me. The site has a clean, clear feeling to it. You have a lot of information but it seems very eye-friendly, that is, not cluttered and fuddly (? A word? But I think you understand.) I find it very user friendly. I love Justhands and can’t wait for Fridays to see what we have next. From across the pond again, North Carolina, USA, I am thoroughly enjoying AND learning from these tutorials. LOVE the variety of subjects, especially the projects and the techniques incorporated into it. Also enjoy the interviews and off site shows. Brlliant ideas! Very clever indeed that button band. Seams Common Sense: I adore this tutorial. Has extremely helpful information taught with humor. LOVED IT! This information will raise the technicality and quality a huge amount. Thank you so much. I must confess to not having done as much quilting as usual of late and also not much ferreting about on the internet which included not looking at your lovely site for a while. I was really pleasantly surprised when I did alight on your site today to find your new design is so much more negotiable, entertaining and fun. Made me realise how much fun quilting and its related subjects are again 🙂 Thank you! I have only been a member for a couple of months but I am so glad I found you. There is so much information and knowledge on the site and the videos are great. From across the pond , North Carolina, USA, I am thoroughly enjoying AND learning from these tutorials. LOVE the variety of subjects, especially the projects and the techniques incorporated into it. Also enjoy the interviews and off site shows. Love it!! I love your website and your tutorials. Keep up the beautiful work!! Enchanted ocean is a lovely patchwork quilt, if I should win a pattern, I particularly like the mermaid or the seahorses. I am from Nova Scotia ,Canada .I am just dropping a note to tell you how much I am enjoying your videos.I am a new quiltter and I am learning so much.Thank you. I have really enjoyed the visits to festivals and also the tips and techniques …I have put a zip in before but Jennie’s video (had to watch it a couple of times :)) has helped me put in a zip which looks almost professional ! well done to everyone. I really enjoy using the new site. It offers so much inspiration. I am now able to access the site on my iPad using iSwifter so I can watch the videos anywhere, even on the train. Thank you, you can always cheer me up when the skies are grey. I am finding your videos helpful. Thank you. The new layout is much, much better. It is so much easier to find items without scrolling through lots of other items. I like the new quick find menus. It means I can find topics and books etc much easier and much faster. Keep doing what you’re doing; you’re doing a fantastic job. l am a new subscriber to your site,may l say how excited l am to have found you, l am very new to quilting so need all the help l can get,so a big thenk you to you girls for all the work you have put in to do all the videos and tips and technics. I love it ! not much more to say except that it is all so much better than the majority of the American Quilting Sites, and your new inovations are GREAT ! Good morning to you all, I have been using the new sight now for a few weeks and think it is great. I had got used to the old site and thought that something new would be a pain. How wrong I am, it is so easy to find items and the tips are arriving thick and fast. I was so impressed that I have rejoined for another year, the best bit being the pocket tutor in the package that means I can ask for something else for Christmas. I only have one comment, I cannot keep up with all the workshops. I just looked at your site the other day for the first time a few days ago.- I had received your news letter for some time. I have spent some time looking at your hints and tips etc. for the last 2 days and have found many useful tips which have helped with my stitching. e.g. tilting the machine and how to set a 1/4 inch seam using the machine. Thank you so much for all your ideas and tips. They have helped me greatly and I have passed on the news of your site to my quilting friend. Hi, just want to say love new website, very professional and easy to navigate. Well done look forward to seeing you. Love the new website, it is much easier to find everything. I keep recommending your site to people and my friend Paula has just signed up, we have been up to Malvern today, Paula is new to patchwork and she bought some fabric to start doing the block of the month. Hi Jennie &Val just want to tell you I have tried the new website and I love it so clean and fresh and easy to use . I love your site for information and fun. Brilliant – new website is great, much easier to navigate around, clear and packed with information.Thank you. The website is excellent and I’m having great fun exploring its nooks and crannies! Hi I love the way you have organised the new site ,brilliant you can get quickly to where you want to be for help so so quick . I logged on, and became immersed in the video introducing Angela Daymond, and then your stitch and flip quilt! Really great website, really quick, and I like the links to, for example, the mitred corners, which are there when you’ve talked about them. Thank you! Your last newsletter is fabulous!! I am hoping to win one of the Christmas Fun> layer cakes you are giving away for August 2012. You have a great site, I’ve met Jennie at the shows, she has signed all my books and I have done some of the projects with my learners from time to time. It’s great knowing what is going on in the sewing world. I might get to meet you at one of the shows Val one day.I think your delivery of the workshops are easy to follow for beginners and the variety of content is excellent. I really find your site fabulous. Hi!, I am never sure if I should write an email about how great I think Justhandsontv is or just put the title of the comp. in the subject space, anyway will you please enter my name for the August draw for the Lynette Andersons fabrics ‘Christmas Fun’. Thanks for a terrific website – always something interesting to look at! Please enter me into the draw. Thank you. Just popped a cheque in the mail to subscribe to your site. I have been looking at your video tasters and your site is addictive!! Thanks for getting the Hever show video sorted so quickly. I have just had a wonderful day at Region 2 and come home to watch it. I was unable to get to Hever last year so it was great to see the new set up.I love your videos! You ladies are the best. I’ve been making cushions for years but always using the ‘gaping’ envelope method because I didn’t know how to put a zip in. Thank you. I’ve been trying to figure out my even feed foot for the last 3 days! Your video was very clear and you had the extra information I’ve been missing… that the arm goes over the NEEDLE screw… I’ve found directions on the internet saying it goes over the screw, but I misunderstood and thought they meant the screw that holds the shank. I couldn’t wrap my head around it, thank you so much for the clarification… I am very grateful! Cheers! Just spent a wonderful Sunday afternoon looking at the Technique videos on Just Hands On TV. What a brilliant way to spend a snowy day! Hi am in Lanzarote and I think your website is fantastic. It keeps me intouch with everything. Please enter me for your competition. Am a subscribed member. I tried so hard to get the same material as you for the block of the month but I couldn’t find it anywhere. Somewhat discouraged I tried to find something similar but failed miserably. Half-heartedly I decided to try a completely different colour combination. However, by the time it came you were already onto block four and I was worried that I would be too late to join in (being a new member and unsure just how things worked). Anyway, once I got started I just couldn’t stop and I thought you might like to see how it turned out. I’m really pleased with it. This is my first medallion quilt, my first Dresden plate (love it) and likely to be my first flying geese border. Please keep up the good work – I think it is an excellent way of teaching. Keep up the great work from an appreciating subscriber. Love the workshops ladies. Keep up the great work. I live in australia and find many of your ideas and product advice a big help. I really enjoy being a member. I particularly appreciate the video workshops and demonstrations. I’ve learned so much from watching them. I just started patchwork and quilting class in September and I’m really loving it. I would love to win these threads so that I can start a proper thread stash! “Its not my fault its the computer – it made me do it !” (ROFL) that’s what I say about my sewing machine! I have just finished watching the video on Free Motion Embroidery and wanted to say thank you to Jennie for the video I have tried Free Motion Quilting on my Janome with disastrous results – I could never get the needle to perform a nice smooth curve or a straight, straight line. I also like with both of you, your “off-beat” senses of humour. I think having a bit of humour in the video is important and yes I use the time-honoured tradition of throwing waste fabric and thread on the floor!I think the membership fee is “very reasonable” as I find reading books just does not have the same impact as watching a video and I have learnt some valuable tips, in particular the video on “Needle and Threads” – now I always start a new project with a new needle. I had recently finished an 8 foot by 6 foot Rag Quilt made up of 8″ squares (made without a middle layer) of flannel and could not work out why it was so difficult to sew through 4 layers of fabric as the bobbin kept jumping and missing stitches? At the time I changed the needle to a heavier one with no result and I didn’t think to take the bobbin out and remove sewing bed plate – doing that I solved the problem – dust and fluff tightly compacted under and around the bobbin case gave the bobbin no room to move. A simple clean with a paint brush. a chop stick (to reach into the corners) and a lot of huffing and puffing and I know have a machine that runs as well as the day first day I bought it – something that is so easily over looked like replacing a blunt needle. I’m a New subscriber to your site, and pleased to say I am really enjoying the subscriber videos having looked at the ‘free’ videos for some time. Just wanted to tell you how much I am enjoying the workshops and interviews on JHTV. I am a new subscriber but am already hooked. Thank you. I am enjoying Justonhandstv very much.It’s nice to have a British Quilt show which is such good value and the projects are very do-able! I would love you to reload Lesley Brankin’s video. Your site is so informative and inspirational. As a subscribed member you can ask for archive films to be loaded just for yourself! Hi Girls I just love your Web site it has brought a lot of colour into my life. Heard about it from our Embroidery Teacher @ Ossie Mills on Wed.
My name is Kerry and I live in Australia and have found your site to be the most helpful place to visit in a long long time. Thank you all. I have already signed up two of my quilting group so we can all learn from you. Jennie I loved your Dresden plate video. Thank you so much. I have just been reading the recent newsletter and have learnt so much from the member videos. Please keep up the good work. Hi, Just wanted to say a huge thank you for this website. A Godsend to someone like me who is unable to go to workshops now and misses them very much. I especially liked the video about the needles and threads. Most welcome information, but I am working my way through them all and they have given me new incentive to start sewing again. So a huge big thank you. Received Justhands as a birthday present, delighted. Perhaps could now be lucky to win some fabric !!! I am so pleased to have found justhands-on-tv. I spent some time yesterday looking at the various video clips. I loved Jennies flower and Mandy with her dolls. I hope to see more of Mandy she made me smile with her lovely babies. I hope we see more of her tips and techniques. I will be telling my friends about justhands-on-tv love it ! love it ! love it! I very much enjoy the site, it is good value for the money! Thanks for putting DC-D’s Drunkard’s Path video back on. I have started a quilt today. DC-D is coming to talk to our group (Abbey Quilters, Abingdon) in May. Looking forward to meeting her! Love the site!! I just had to email you to say what a fantastic site this is, I have joined of course, keep up the brilliant work, thank you. Thank you very much for the lovely fabric from Santa. Looking for great ways to use it now. I just wanted to thank you for the inspiration you provide on your web-site.I do pass on your contact details to my students with great enthusiasm! Well done – brilliant! Have just received the material which I have just won and it is lovely. I am now thinking what to do with it. I think Jennie it is to be a quillow. Thank you very much and a great site for inspiration. I am really thrilled with the lovely fabrics. Thank you so much. She (her mum) is still up watching it at gone midnight, she says it is great. I hope everyone at Justhands-on has had a good Christmas and all best wishes for a happy and productive 2011. Keep up the good work. Love the website. Some great ideas and tips. Thank you again! Thank you for all your interesting subjects. I always look forward to an evening sitting glued to my computer going to so many classes in one day and being inspired by the talks and demonstrations. Keep up the good work. In the meantime Merry Christmas and a Happy New Year to all concerned. Thank you for a wonderful site – love it love it love it. Dear patchwork friends, please find attached next issue of Prague Patchwork Newsletter. I have used the website often and think it is fantastic. I have downloaded items too and made them, the videos are really interesting to I am now a fan of the stitch which and Mandy Shaw. I spend many hours practicing on my broomstick making bunting and other Christmas items from Mandy’s book. thank you so much for setting it up. I’m a fairly new subscriber to Justhandson-tv, and really enjoy it – a great concept, so congratulations on it, and I hope it continues to thrive. I thoroughly enjoyed browsing the various articles which are very clearly shown; maybe iIwill be able to mitre my corners now I can see how to do it properly, unfortunately I am one of those people who needs to see how to do something, book explanations don’t seem clear enough. My 14 year old granddaughter is taking Textiles as a GCSE subject and she & I are working on several home projects, so I’m sure the new additions to my stash will widen her horizons for choice of fabrics. She enjoys your on-line videos as much as I do! Hi, just subscribed; how good is this having a UK channel I love it. I really enjoy justhands-on.tv; the techniques section is great (I used your Flying Geese method very successfully); workshops are excellent, not just the ones which are about quilting. I look forward to each new item. I certainly recommend the site to all my friends. Just wanted to say what a wonderful time I have had taking my first look into justhandsontv! What a super idea you have had, will be passing the site to patchwork friends over here in France so hopefully you will get more members. I now need my own laptop so that I can sit in a comfy chair instead of sitting in the study, I was engrossed for 2hrs yesterday (could not be tempted to log off! )I very much enjoy the site, it is good value for the money! I really enjoy justhands-on.tv; the techniques section is great (I used your Flying Geese method very successfully); workshops are excellent, not just the ones which are about quilting. I look forward to each new item. I certainly recommend the site to all my friends. My 14 year old grandaughter is taking Textiles as a GCSE subject and she & I are working on several home projects, so I’m sure the new additions to my stash will widen her horizons for choice of fabrics. She enjoys your on-line videos as much as I do! Many thanks once again & keep up your good work & enthusiasm.